Is Thanksgiving celebrated in Turkey? 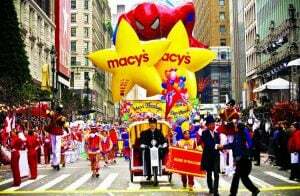 Though it is a well-beloved holiday to many people, Thanksgiving is not generally celebrated outside of the United States of America. The only people who celebrate Thanksgiving in Turkey are probably Americans who live there and want to carry on their cultural tradition. In fact, despite its misleading name, the traditional Thanksgiving turkey isn’t from Turkey at all, and Turks rarely eat whole roast turkey. They only ever do so on New Year’s Eve, so it can be difficult for American families in Turkey to acquire a whole roast turkey for their tables in November. As far as historians can tell, there was never an official decision to make the pardoning of a turkey a White House tradition. Some people believe that Abraham Lincoln might have kicked off the tradition back in 1863, when his son successfully pleaded for a turkey’s life. Others claim that, as turkey farmers began to catch onto the marketing potential of gifting their poultry to the White House, presidents found themselves with too many turkeys for the season, ultimately resorting to sending the turkeys to live elsewhere. By Ronald Reagan’s time in 1981, sending a turkey off to a farm was a presidential norm. Why does turkey make you drowsy? After a hearty Thanksgiving meal, people can feel suddenly tired and want nothing more than to sleep off the food and fullness. This phenomenon, colloquially called a ‘food coma,’ is usually attributed to the main course of the dinner: the turkey. 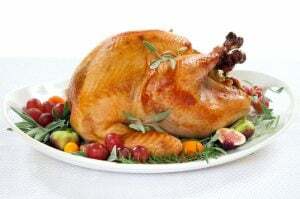 Popular myth says that an amino acid in the turkey, tryptophan, can lull a person to sleep. Scientists, however, disagree. Turkey does not induce drowsiness any more than any other food. In fact, experts attribute the post-meal lethargy to the rich, high-calorie nature of Thanksgiving dinner itself. With so much food to break down, the human body can naturally get tired as blood is redirected to the digestive system. If not the amount of food, experts also suggest that the drowsiness may be caused by alcohol. Many guests enjoy a glass of wine with their Thanksgiving dinner, or perhaps beer as they watch the football games. Alcohol is a depressant, and as people start to get tipsy, they can start to feel sleepy as well. Combine all of the above, and it’s no wonder people end up calling it a night.